Many invest so much into prescription and over-the-counter creams in hopes of better, younger looking skin but the approach many don’t consider is addressing problematic skin from the inside out. Your body sheds 30,000 to 40,000 skin cells every single day so taking care of it is imperative. We incorporate the following healthy “skin foods” into our dishes whenever possible and encourage our clients to do the same, when cooking at home. 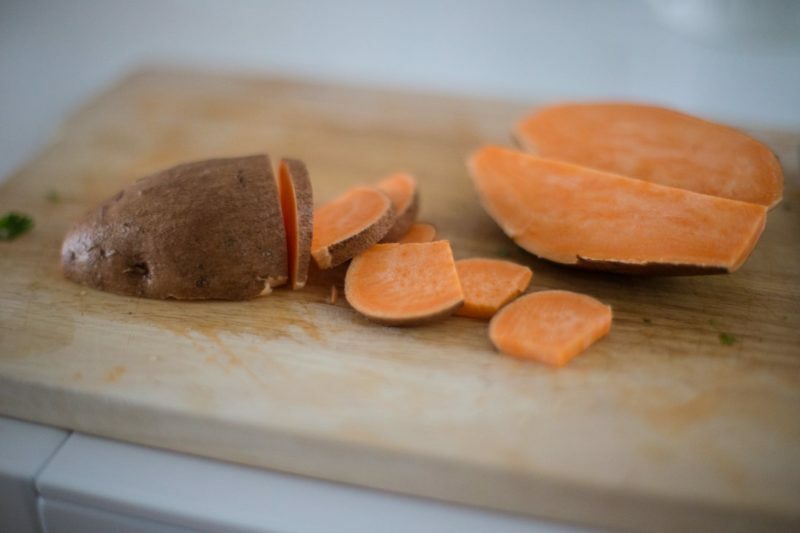 One half cup of baked sweet potato contains four times the recommend daily intake of beta carotene, an antioxidant that turns into Vitamin A in our bodies, and keeps skin healthy by acting like a natural sunblock and preventing against dry, wrinkled skin. Think beyond your Thanksgiving meal and try them on the grill, mashed, or drizzled with olive oil. Or if sweet potato pancakes sound like a sneaky way of getting your kids to try this veggie, then let us know and we can help you with that. 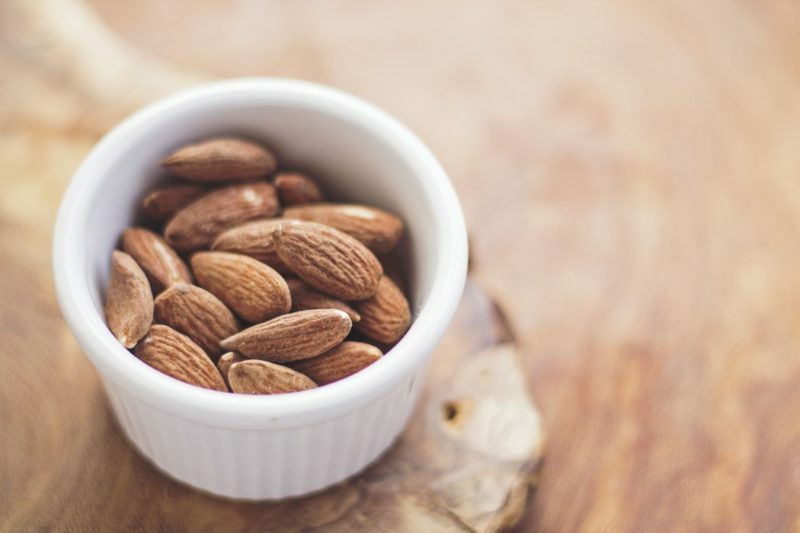 Walnuts, almonds, and seeds like flax and chia, provide healthy omega-3 fats and protein. Just a small handful gives your body a good dose of antioxidants such as Vitamin E, Vitamin C and selenium, a mineral that also acts as an antioxidant. Their skin-boosting nutrients is one of the reasons we love to throw them into salads and breakfast dishes whenever possible. And if that isn’t enough, seeds and nuts also boast hydrating natural oils that can blast away wrinkles and keep your skin hydrated. Ah…what’s not to love? Avocados are high in healthy fats, which is essential in keeping skin flexible and moisturized. 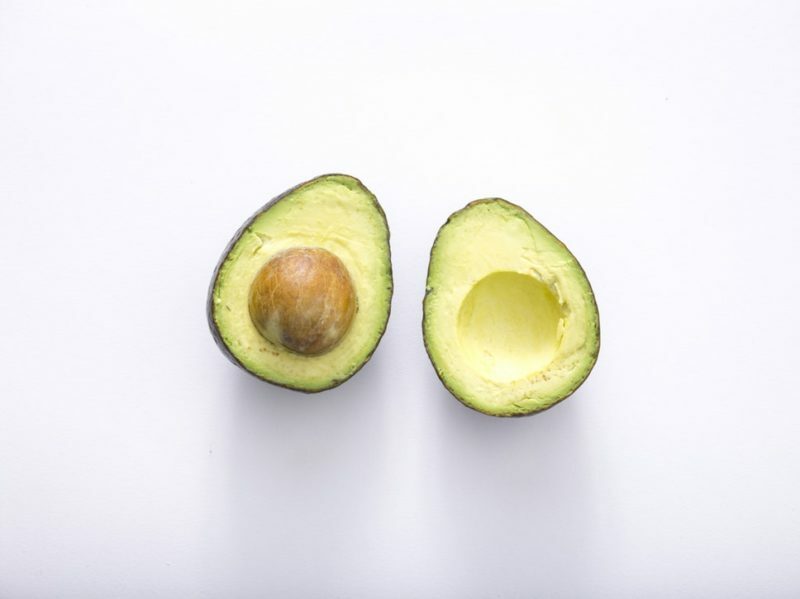 One study in over 700 women found that a high intake of total fat — specifically the types of healthy fats found in avocados — was associated with more supple, springy skin. Incorporating half an avocado into one of your meals will provide you with 10 percent of your recommended intake of vitamin E and 17 percent of vitamin C. Think outside of the guac box and try adding sliced avocado on top of eggs, smashed on whole wheat toast, or blended into your morning smoothie. 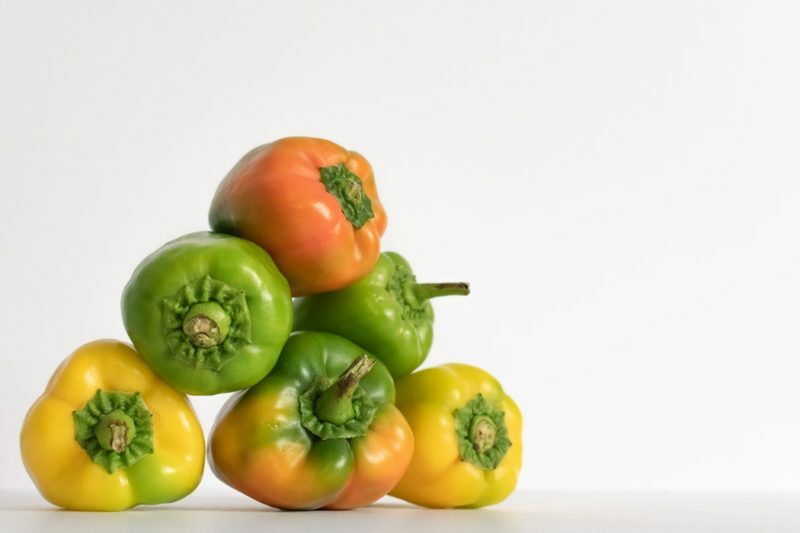 Like sweet potatoes, bell peppers are an excellent source of beta-carotene, which your body converts into vitamin A. They’re also one of the best sources of vitamin C, necessary for creating the protein collagen, which keeps skin firm and strong. Wondering which pepper is the healthiest? Red peppers pack the most nutrition, because they’ve been on the vine the longest. 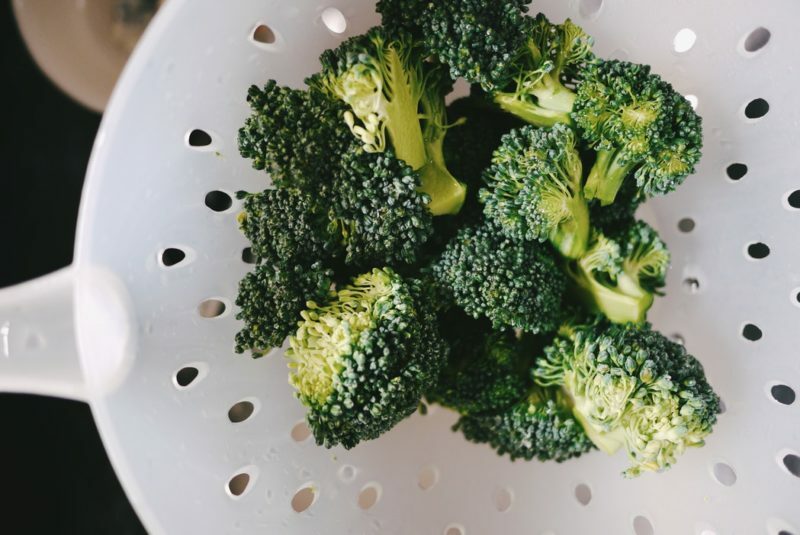 If you saw our recent Instagram post, you’ll know that broccoli is full of many vitamins and minerals important for skin health, including zinc, vitamin A and vitamin C. It also contains lutein, which protects your skin from oxidative damage, which can cause your skin to become dry and wrinkled. But broccoli also packs a special compound called sulforaphane, a powerful protective agent against sun damage. If you grew up with the “oh no broccoli” stigma then we recommend trying our roasted broccoli with lemon and parmesan. 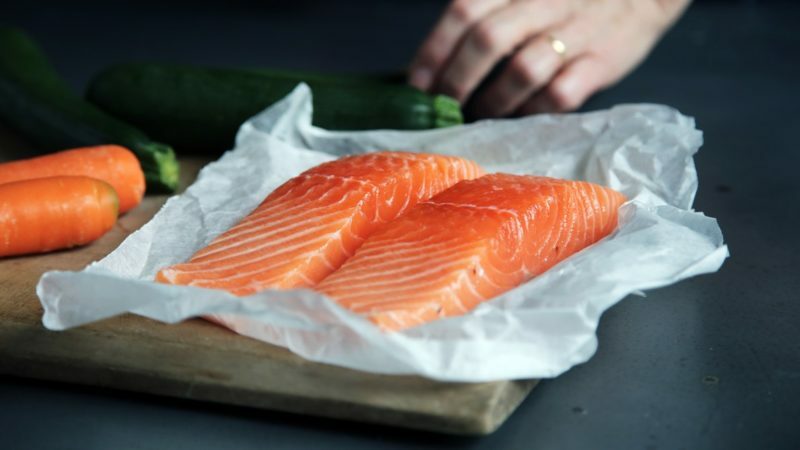 Eating fish boasts some impressive benefits, like providing your body with Omega 3 fatty acids, which kick inflammation to the curb, reducing redness and leading to radiant skin. Plus, they keep skin supple and moisturized. Fish is also a great source of protein, which your body uses to build collagen and elastin, vitamin E and zinc.